Mitt Romney’s next role: Health Care Advocate?? 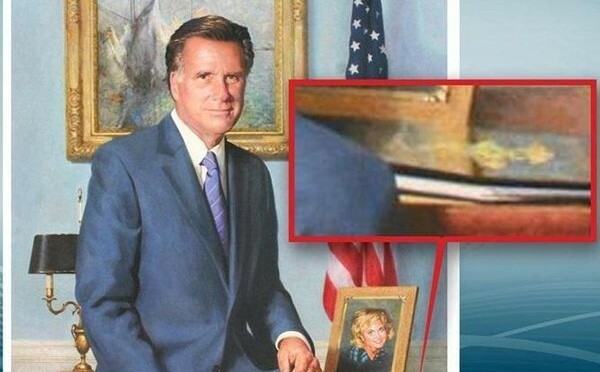 Though he may have tried to run from his record during the campaign, Mr. Romney does have a well-known, well-documented public record… he served four years as Governor of Massachusetts. And during that time, his single greatest legislative achievement was the passage of of universal health care reform. As crazy as it sounds after 2012, historic health care reform is Mitt Romney’s legacy as a public servant. The state of Massachusetts still operates by the provisions he signed into law, and though not perfect, most Bay Staters would never go back to a time before universal coverage. Regardless of their opinion of Romney, they definitely like their Romneycare. Of course we all know the next chapter of the story… President Obama, seeking to make significant progress for the nation, takes Romneycare as a blueprint to craft Obamacare. Though the bill passed without a single Republican vote (unless you count the “vote” of Supreme Court Justice John Roberts to uphold the law after its 2012 challenge), it is truly some of the most bi-partisan legislation we have in recent memory. The provisions of Obamacare were born, tested and tried via Romneycare. Cavuto: “Let me step back from this Governor, if you don’t mind. When people are polled on this issue of universal healthcare coverage, a Fox Poll that we did… 2 out of 3 folks say ‘don’t want it, don’t see the need for it.’ What do you say about that? Now that it’s 2013 and the President is officially a 2nd termer, the opportunity has been born for us as a nation to have an adult conversation regarding national health care reform. 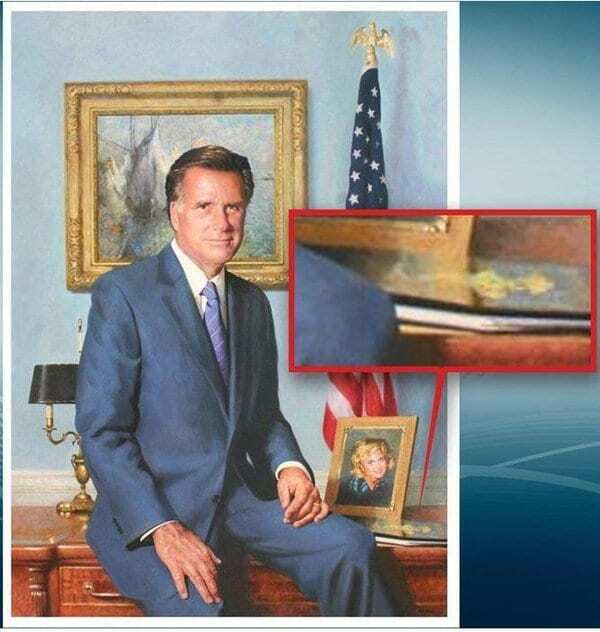 Both the President and Governor Romney are men that now have more in common than they ever had during the campaign. They are both powerful, influential people, both public servants, and both concerned about their legacy. After any election, win or lose, there is a critical window of time that things can actually “get done”. As Steve Leblanc of the AP and Huffington Post wrote today, states are looking to Massachusetts for leadership on how to implement Obamacare. That leadership should include Mitt Romney. Of course many Democrats will rightly point out that Romney signed the legislation, but then chose not to run for a second term. That left much of the shepherding of “Romneycare” to the states next Governor, Deval Patrick. As a faithful Democrat, he and the Massachusetts legislature have worked hard to ensure that the law lived up to its goals of providing access to insurance for all Bay-Staters. The Boston Globe did a comprehensive review of Romneycare in 2011, saying that it has been (and continues to be successful in achieving those goals. In 2006, some 500,000 Massachusetts residents did not have health insurance. Today, that number hovers around 120,000 and continues to drop as more tweaks are put in place. Romneycare, though not perfect, is an example of what government can actually DO to improve people’s lives. As the nation begins a rapid implementation of Obamacare, we still remain deeply, (some might say tragically) divided on what health care reform means for the country. Democratic Governors and legislators are going full-steam ahead by embracing the new provisions, while Repbulican strongholds are building a fort against them even if it defies logic and reasoning to do so. As Texas Governor Rick Perry, Florida Governor Rick Scott, and others toy with the lives of millions in need of access to affordable care, it may be of benefit to have a prominent Republican voice that can attest to the good that health care reform can do. Sure, Mr. Romney’s status was lessened as being the losing candidate, but that doesn’t erase what he did for the Bay State. If anything, this could also be an opportunity for the former Governor to restore his reputation and find new purpose in the public debate. The term “Obamacare” was originally drummed up by the Right-Wing media to distort and shame the President’s efforts for health reform. But in the 2012 campaign, President Obama turned around saying “I like Obamacare, because I actually DO care!”. Despite what he may have said in 2012, the same actually holds true for Mitt Romney. It’s why he chose to put the universal symbol for medicine into his official portrait as Governor of Massachusetts… the portrait that will align the walls of the Massachusetts State House for all forseen time. But now, in this time, our nation’s health care reform is in need of advocates from BOTH parties. We’ve got the Democrats, and now we are looking to Republican leaders who can break with the tight- lipped opposition, and defend the importance of health care. After all, our health can never truly be a party issue. 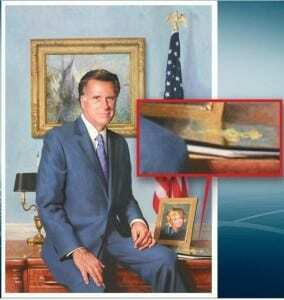 It’s called “Romneycare” because, at least this writer believes, Romney does care. The last week of a national election is always utterly exhausting. But even the 2012 election has met its match with the challengess left by Hurricane Sandy. As we all know… some things are more important than politics. But with the storm heavy on their minds, election night will proceed. Eventhough President Obama isn’t on the campaign trail, his team is still hard at work. And this morning, they released what could be termed the most important campaign ad of this year. National manager Jim Messina lays out the FACTS that show Obama’s reelection strategy is eclipsing the Romney campaign’s efforts. Beyond the hard numbers that show the Obama ground game is FAR superior to Romney’s, there’s also the important realization of early voting. Nearly 15 million Americans have already voted, and Democrats out-pace Republicans in every swing-state. So even if there is an “enthusiasm gap” for Obama voters, the meticulously orchestrated ground game is doing it’s job. So if you haven’t made it to the polls yet, go VOTE!! Have your voice be heard in this important election. 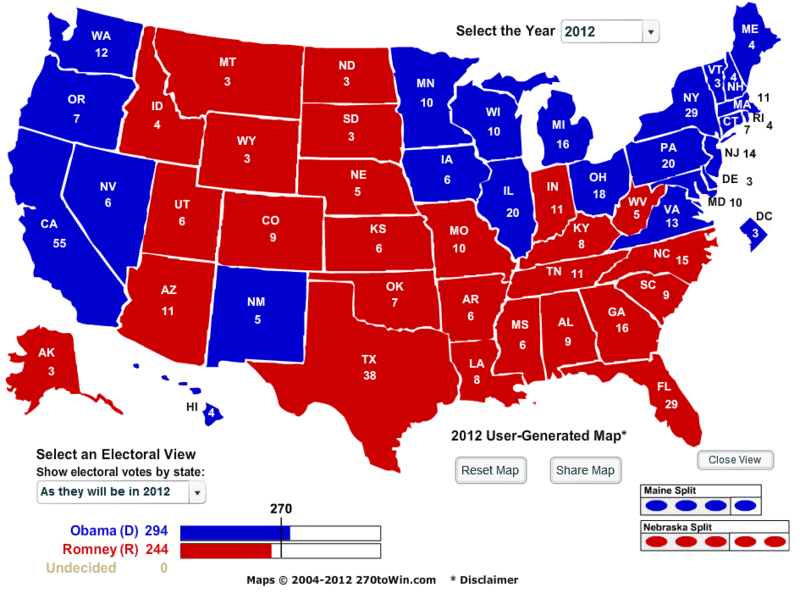 One thing that most analysts Right and Left can agree upon… the 2012 Presidential Election is expected to be CLOSE. 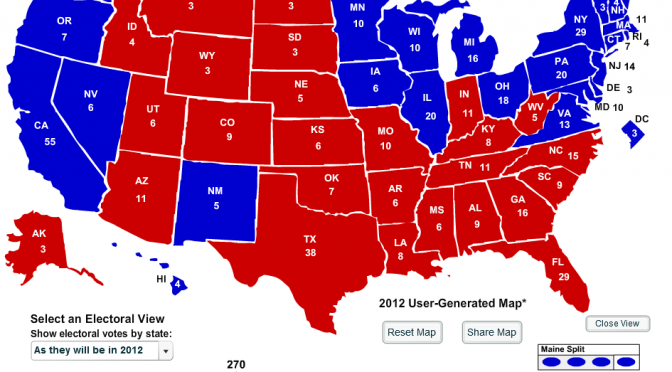 It’s no surprise that Barack Obama and Mitt Romney continue to circulate around the same precious group of Swing States. And even if the candidates themselves aren’t watching the daily rollercoaster of electoral polling, their campaign staff are glued to their computer screens, ready to respond to even the slightest variance. But what if the polls themselves aren’t as accurate as they seem? No, not because of some viscious plot to skew them towards one person or the other. It’s possible that polling just isn’t keeping up with the realities of the 21st century. A 2010 Pew Research Study revealed that there is a big gap amongst landline respondents and cell phone-only respondents. It turns out that landline respondents are more likely to be Republican, while cell phone respondents are more likely to be Democrats. 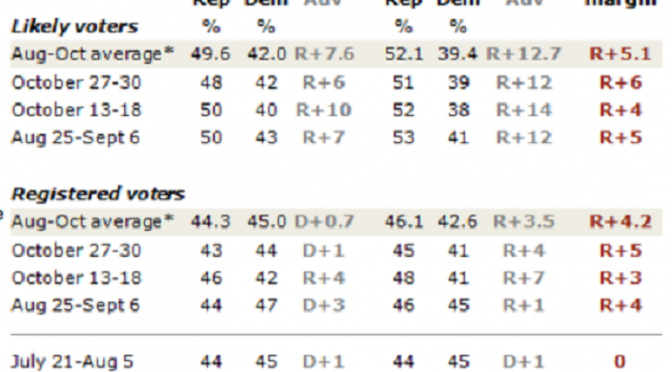 This makes sense in some ways… the Democratic party is on average much younger and more diverse than the Republican party, so it’s no surprise that fewer Democrats would own a landline or still use it as their primary form of telephone communication. 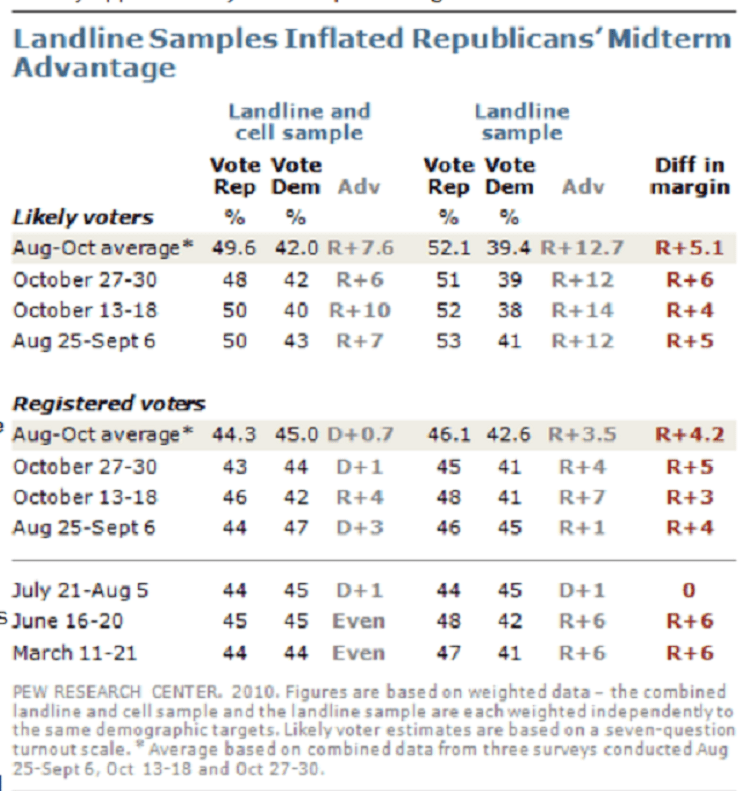 The study found that during the 2010 race, Republican House candidates led by a twelve-point margin nationally when the data only polled land-line users. But when combined with data from cell-phone users, that lead shrank to just six percentage points. This was from the very last set of polls conducted before the election results, and when the actual votes came in, the real lead for Republican candidates turned out to be just seven percentage points… much closer to the combined data. 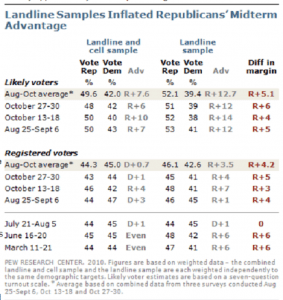 The GOP advantage was inflated due to a mis-match in polling methodologies. Even after the results of this study were widely known, some polling agencies still continue to poll only landline users. They skip cell phones entirely when submitting their data. Rasmussen’s polling methodology still openly admits to focusing on landline calls, and polls ZERO cell phone users. The Gallup Poll is in transition to incorporate more cell phone respondents, and has recently come under hot water from the Obama administration for not doing so sooner. So if this disparity persists in our national polling, what implications could it have for the Presidential race? Are cell phone users being under-polled? We’ll all know the answer in the days following the election. One thing that we sometimes forget about Mitt Romney… he’s actually been campaigning for the Presidency longer than Barack Obama has. Obama announced his candidacy on February 10th 2007, while Romney announced his 2008 campaign just 3 days later on February 13th 2007. 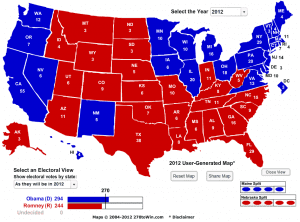 Sure, Romney then withdrew from the race, while Obama went on to win, but the intention has always been clear. Given this incredibly long game, it’s still quite surprising to me that Mitt Romney is so far behind Barack Obama in the numbers. I’m not talking poll numbers… but internet forces. And this is almost one full week after the first debate. It lets you know that debates are definitely more important for the challenger than they are the incumbent. 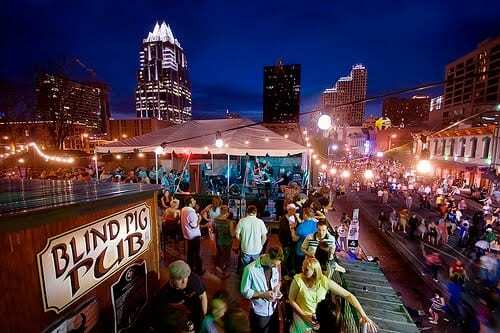 But to Obama’s credit… his campaign has a much larger audience at any time day or night.